Grieving the loss of a loved one is difficult enough. It’s even harder when that loss suddenly pushes you into a new role: business owner. You’re not alone if you inherited the family business with no formal succession plan in place. About 64 percent of family companies don’t have a written succession plan, while another 19 percent have one “in progress,” according to a Deloitte survey. 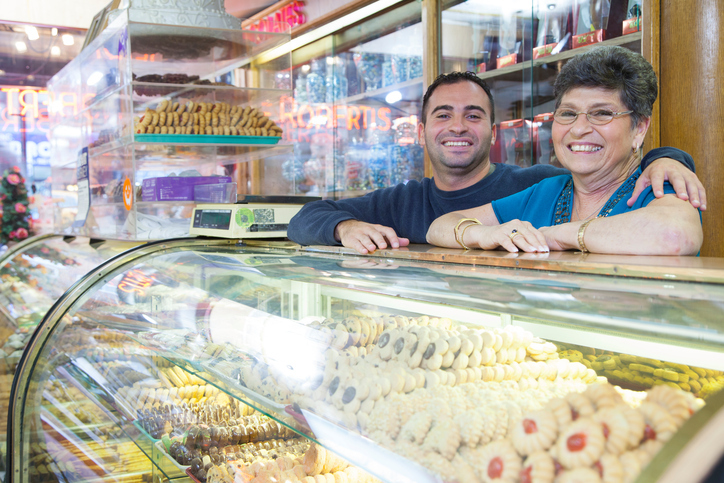 Use these tips to find your footing after you’ve suddenly inherited the family business. Develop a picture of the current business situation. Talk with all the company’s current advisers, like accountants, attorneys or bankers, to develop a 360-degree view of the company’s health. This lays the foundation for making informed short-term decisions that keep the business and your sanity intact. These conversations and resources will also help you get a handle on the tax, legal and financial implications of the transition. An unexpected transition often brings uncertainty for employees, customers and vendors. Employees, especially, can be shaken by fear of losing their jobs. In some cases, team members may mourn the loss of your loved one, too, which can inject additional emotion into an already uncertain situation. As soon as reasonably possible, make time to explain the company’s short-term plans, whether that’s communicating with key staff, like managers and supervisors, or talking directly with the employees themselves. If you’re already comfortable with the idea of business ownership, fantastic! But, if not, you should understand that owning a business isn’t the right choice for everyone. Making the decision to continue running a business you’ve suddenly inherited isn’t easy. You may feel a sense of obligation toward the loved one you lost. Or perhaps you feel pressure to carry on a family legacy. Other factors may play a role, too. For example, the business may employ other family members, which can add pressure to do the “right thing” and stay on as owner. However, taking on small business ownership can be harmful to your physical and emotional well-being if it’s not a responsibility you want. If you feel ambivalent about it, take time to dig deeply to identify whether this is the right path for you. Ultimately, if you decide to step away from the family business, there are several options aside from closing the doors. Depending on the business structure, you might sell your share to other partners or owners. Another option is to sell the business to an outside party. If you’re committed to growing the family business, you’ll want to move out of the triage mode that often follows an owner’s death and into long-term planning that builds a foundation for stability, consistency, and growth. Business plan: From understanding the market to outlining a budget, this document defines what success for your company looks like and what steps you’ll take to get there. Succession plan: Safeguard your family from finding themselves in a similar position if you suddenly die or become incapacitated. Work with professionals like accountants, attorneys, and business advisers to develop a plan that facilitates a deliberate and smooth transition for the next owner. A SCORE mentor is an invaluable resource when you’ve suddenly inherited the family business. Whether you need clarity on cash flow or guidance on internal conflict resolution, a mentor will bring practical advice, fresh perspective and expert resources to the situation so you can make decisions with confidence. And, if you’re struggling to decide whether ownership is right for you in the long-term, a SCORE mentor is an ideal guide for learning more about owning a family business.